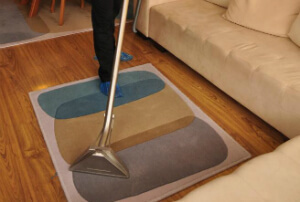 Use this phone number 0151 673 0008 do get to our qualified rug cleaning customer support specialists. They are available for your demands! Organise the deep carpet cleaning assistance right away - it is ideal for domestic and commercial properties as well! Regarding rugs we clean Wool rugs, Persian rugs, Chinese rugs, area rugs, handmade rugs, Tibetan rugs, silk mix rugs, shaggy rugs, Indian rugs, Turkish rugs, Egyptian rugs, play rugs, antique rugs, floor mats, entrance mats, logo mats, rubber mats, industrial mats and anti fatigue mats. The company Quality Property Care Ltd. also can offer you professional curtain cleaning, mattress cleaning, bed bug mattress treatment,, blinds cleaning and drapery cleaning . Actually, if you book a joined together cleaning service, such as deep carpet cleaning plus mattress cleaning, you will get a big discount from the selling price of the service. So, don't wait and request for that 100% free quote or book your combined cleaning service today! Meet Quality Property Care Ltd. - the best professional rug cleaning company with 10 years of experience in the industry and with various solutions for rug spot and stain removal. Our reliable carpet cleaning business in Lunt L29 has implemented the general standards in rug and carpet hygiene maintenance. However, in addition to these, we always tend to advance and progress. Call us to get a reservation for our carpet cleaning service in Lunt L29 right now! There are many different carpet and rug types out there and we’ve ensured to be able to clean them all effectively. Our professionals use a different technique for all different types, which enables us to properly and safely clean both synthetic and natural fibers. We can clean synthetic, wool, cotton, linen, organic fiber, viscose, silk, suede, plush, chenille, leather, acrylic, leather, nubuck. With years we’ve been able to refine our stain removal techniques to a science allowing us to remove not only oily stains, paint, rust, blood, tea, coffee, vomit, wine and moth damage, but also deal with synthetic and organic stains. If you would like to book a carpet or rug cleaning service, all you need to do is call the client care line at 0151 673 0008, or use the on-line booking form here. You will receive written verification as a e-mail and sms message. No first deposit is needed for booking. You will get a serious discount of the professional cleaning price, if you choose to book more than one cleaning service at a time! Call or send the booking form right now! Same day booking is available, if you are in a hurry too!